Road trips where you wrote you own captions and every curve there was something unexpected! There was a time not long ago when I actually had the time to drive up and down the Baja Transpeninsular Highway. Time was not “of the essence” and even with cheap flights, gas was still so cheap it was more economical to drive. These were the days several decades before there were regular convenience stores and Pemex gas stations dotting the landscape. Yes, the Transpeninsular was a relative Mexican engineering marvel for its day. Officially called Federal Highway 1, it was quite a feat. 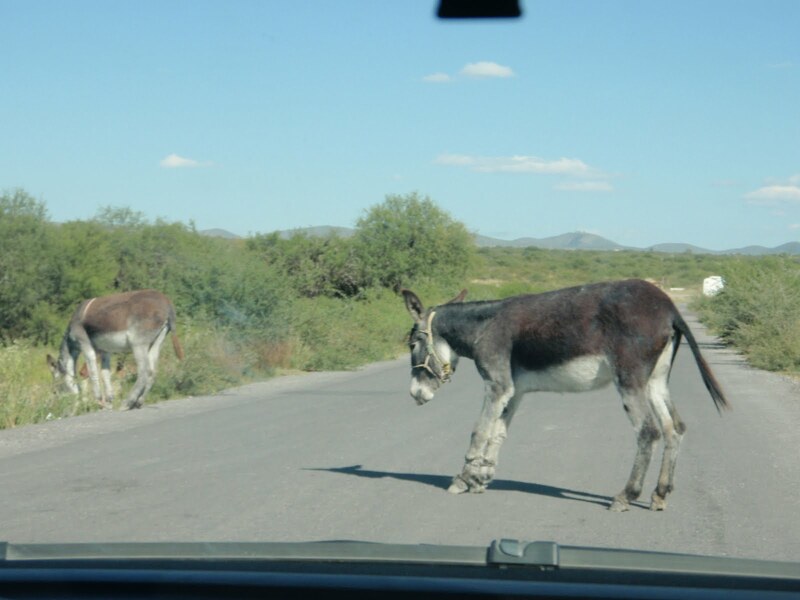 Being in the U.S. we take highways for granted and few who visit Baja today remember what it was like before the highway. Even those first years after its completion in 1973 were a bit rugged. Highway 1 dotted-dashed-scurried-and-ribboned the entire 1,000-mile length of the Baja corridor from Tijuana to Cabo San Lucas. No doubt, to have one solid-length of pavement was a vast improvement over the previous road(s) which required the abilities of a world-class off-road driver and a vehicle that was about as indestructible as an Abrams tank. Even in its completed state, it was politely called a “highway” sporting just two lanes. Laughingly and affectionately, it was called a “leveled goat trail” by its fans who still saw it as a vast improvement. But, the word “solid” is relative. Like so much in Mexico. “Pavement” has many meanings! There were sometimes more detours around missing parts of pavement than actual pavement. That meant forays into the nearby desert. Potholes stretched for miles and trying to navigate in-around-and-out of them was like trying to dash through a minefield. Sooner or later, the odds were you’d get rocked. The Spanish word for “pothole” is “Hoyo” (OY-yo)…as in OH-no! Which is what you said as your suspension or axle suddenly groaned in agony as it slammed into crater after crater. And you hoped you still had an oil pan. Instant cred. Very high on the “neato scale.” At least a 9 in the ooh-aaa factor. A bucket list things for guys. Yup…Us cooler dudes, “DROVE the Baja.” Back in the day, the coolest of the cool folks declared they “SURVIVED the Baja” because that was always a pre-cursor to a good story, too! Driving the Baja was one thing. “Surviving the Baja” meant that a good tale was to follow. The “survivors” brought back great stories and tall tales of roadside frontier adventure. There were flat tires…busted fan belts and axles and green unfiltered gas bought from a guy with a 50-gallon drum and a handpump. How about those swarming mosquitos and flies? Sunburn…hangovers…stalling in sand-filled arroyos and waking up in strange places. And what’s a good story if it didn’t include Montezuma’s revenge… a hurricane… a sandstorm or the occasional ill-advised romantic liason? But, there were also golden gems of deserted white sand beaches and glorious crimson sunrises…mouth watering handmade roadside tacos… ferocious fish that had never seen a hook… perfect thick-lipped waves that had never been surfed…friendly warm people…icy beers and barbecued lobster eaten with fingers and campfires under carpets of stars. Federal One has become bigger, better and safer after all these years. There are still stretches of the wild Mexican frontier that go for miles. But, you’ll see more gas station. More convenience stores. RV parks and hotels too. It’s just not the same anymore. You climb on a plane in the U.S. You ride the sterilized tube through the air and maybe see a bit of dessert or ocean below. You exit into an air-conditioned terminal with a thousand other people. The biggest adventure and closest brush with danger is running the gamut of airport vendors trying to rent you a car or get you on a time-share trip. The height of your anxiety and adrenaline level is wondering if your luggage will get searched by duty inspectors at the airport. You remember that undeclared bottle of Jack Daniels hidden in your boxer shorts. Your wife thinks they inspectors will pull out her lingerie in front of everyone. Blood pressure zooms. Or major panic. Now that you’re through customs, you can’t find the shuttle driver who was supposed to meet you at the terminal. Whew…there he is. He was hidden behind all those other shuttle drivers! Man, that was stressful! Gonna have a double margarita at the pool bar as soon as I dump this stuff in the room. It’s just not the same anymore. And neither are the good stories. Editor’s Note: Jonathan and Jill Roldan of Tailhunter International Sportfishing (www.tailhunter-international.com) in La Paz make the Mex 1 run often. They are at their first show of the year for them, at the ISE show in Sacramento that starts Wednesday at Cal Expo, with stops in Long Beach and Del Mar on the SoCal schedule.